Happy Sunday for everyone :). 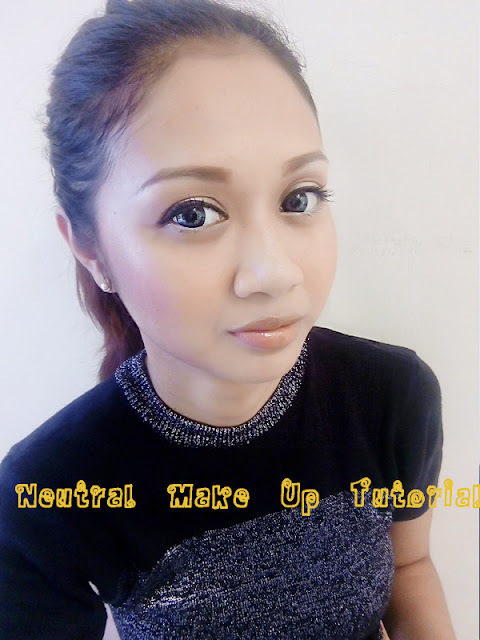 Today I will post a Tutorial :Neutral Make Up Look. Actually my skin is in a very bad condition now. I got major breakout because I use product that not suitable for me. But anyway, bear it with me to finish this tutorial video. I Apologize that the audio doesn't good, I can't really hear my voice either. To be honest blogging is a lot more easy than making video. I rarely edit my picture so usually I didn't need a long time in term for editing. But making video needs a lot of editing (T_T). My reason to make video for tutorial is I think you all can see it better how I did my make up by video than picture. For my wednesday review, I will still writing here normally and post picture. Last, This is my Neutral Make Up Look Tutorial. If you have youtube channel we can subscribe each other too :). I love the glowy look! I also once attempted to make a video but it was too challenging for me. I'd rather stick to blogging. :D But kudos to you for being able to film a tutorial! I think blogging is less time consuming than making video :). So...beautiful, love natural make up look.